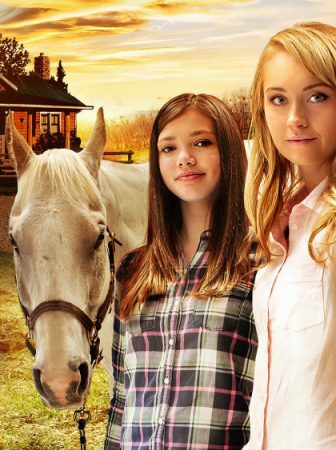 The 200th episode of Heartland is finally here. And, in a true Heartland fashion, it brought us heartfelt talks, life struggles, and some friendly competition. Want to know how this monumental episode played out? 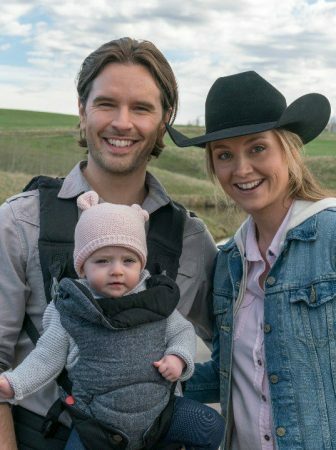 Then keep on reading this Heartland season 12 episode 7 recap! At the forefront of this Heartland episode was Tim organized a family penning even. But what started out as fun family bonding event over some team penning quickly turned into a bet. Guys versus girls, losing team buys the winning team fancy dinner. Yet it didn’t stop there. Because, by the time the event rolled around Tim, Jack and Caleb went against Amy, Georgie, and Jade. And the prize was 2,000 dollars donated to the winner’s charity of choice. With the losers having to dig the ranch’s new outhouse pit. The whole town came out to watch since Tim decided to turn the family penning adventure into a big event featuring multiple different disciplines with the team penning competition as the headliner. And donated money that made up the aforementioned two thousand dollars. There was some friendly ribbing between the teams and then the team penning game began. Tim’s team went first. They had some difficulties but in the end, they got the job done and came in at 45 seconds. And then it was time for Amy’s team to take the pen. The ladies also faced some hurdles during their run but ended up with 44 seconds flat beating the guys’ team by one full second and showing them that penning isn’t just a cowboy thing. But when it came time to claim the prize for her charity Amy decided to split the two thousand bucks in half so each of the charities would get something. Because after all, both Tim’s chosen Hudson Cancer Society and Amy’s Foothill’s Horse Recovery Center are amazing causes and deserve every last penny. While Tim was plotting the event and making bets with Amy, both Georgie and Jade were training for their respective sports. Georgie was trying to get into shape for the equestrian camp tryouts. While Jade, who was cleared by the doctor after her concussion diagnosis, was trying to get back to riding broncs. However, each of the young women had issues to overcome. And Georgie and Jade also went about dealing with those issues in two different ways. 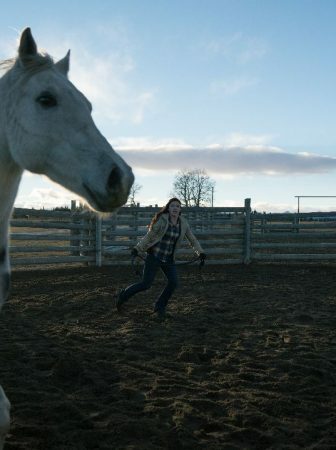 In the last few episodes, we have seen Georgie taking up running, even outrunning Wyatt and her dad. 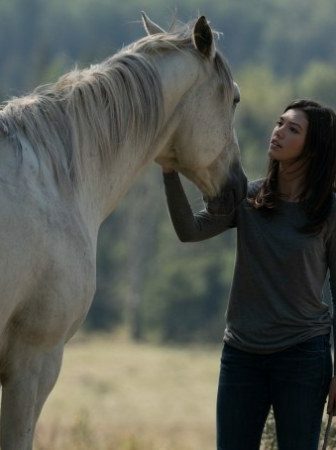 But on Heartland season 12 episode 7, we saw her take her training to a whole new level. What do I mean by that? Well, after reading an article online in which her coach Kim Price gives fitness tips, Georgie decided that just working out wasn’t enough. And although at the beginning it seemed like she just wanted to make healthier food choices what with trying to get Jack to substitute beef with tofu or turkey in his chili. By the end of the episode, we saw her obsess over what the scale was showing her and skip breakfast in favor of another run. I think this new storyline for Georgie is an important one to tell on a network television show. Because I don’t think Heartland has ever really done a storyline on body image. I just hope that they won’t go too far with it because I would really hate to see Georgie starve herself just to achieve an unrealistic body weight standard. Jade, on the other hand, was dealing with a whole different set of problems, the main one being fear. Fear of riding a bronc which most likely stemmed from fear of getting hurt again. 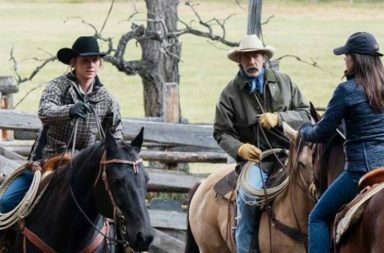 At the beginning of the episode, we saw Jade going through a grueling workout session and then announcing to Tim that she was ready to try riding a bronc again. However, once she actually got into the shoot she realized that she wasn’t ready for the real thing after all, so she faked a shoulder injury and got out. And then all throughout the episode, we saw Jade doubting her abilities as a bronc rider and even thinking of quitting rodeo all together. 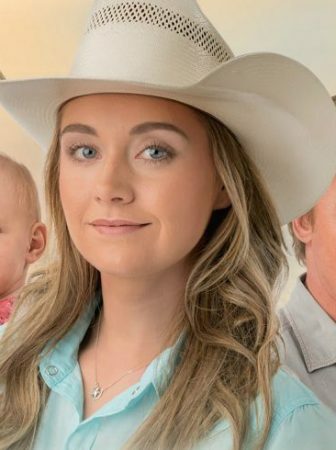 Luckily, Georgie, Tim and the rest of the Heartland family were there to support her. After Jack gave him the idea, Tim decided to organize the team penning event so Jade had a chance to compete in a different event, which would hopefully build her confidence back up and help her get over her fear of riding broncs. Georgie suffered through one of Jade’s workout sessions and invited Jade to a girl’s night she and Amy were having. While Amy roped Jade into being part of her penning team. In the end, Jack was right and all of Tim’s efforts paid off. Because, despite having a panicked moment during their penning run, Jade managed to snap out of it which won the girls the event and gave Jade back her mojo. And by the end of the episode, we saw her back competing in a rodeo. 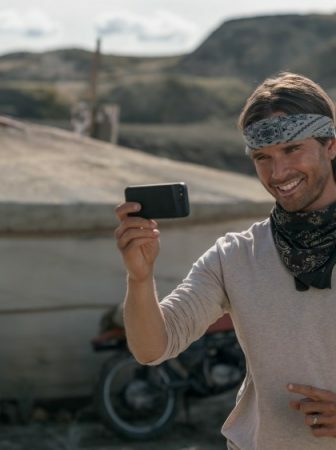 Finally, Caleb also had a pretty major storyline in this episode. If you remember from episode 2 of last season, Amy and Ty asked Cass and Caleb to be Lyndy’s godparents. And during this episode, we saw Caleb showering his goddaughter with gifts. Yet, despite the nice gesture, you could also see that something wasn’t quite right with Caleb. He admitted that much to Amy. But the real revelation as to what exactly was wrong came over a glass of whiskey that Caleb and Jack shared after a game of poker with Tim. It turned out that Caleb and Cass were trying to have a baby. However, they hadn’t had any luck with it. And after visiting multiple specialists who had no answers for them Caleb confided in Jack that he was having a tough time seeing all his friends starting families and that he was wondering why they couldn’t. Fortunately, Jack had some sage advice for Caleb even on as sensitive of a topic as this one. Jack told Caleb that his first wife Lyndy and he also had a hard time starting a family. Which left them wondering the same thing Caleb and Cass did now – why they were the unlucky ones. And after the doctors flat-out told Jack and Lyndy that they won’t be able to have kids, they were devastated. However, they eventually moved on and decided to let life come to them. And eventually, it did, because they had Marion, Amy and Lou’s mom. Which gave Caleb hope that someday he will become a father. Much like Georgie’s health struggles, this is another important storyline that I’m so glad Heartland is exploring. Because it shows other struggling parents that they are not alone. And in situations like this, that can mean a lot. 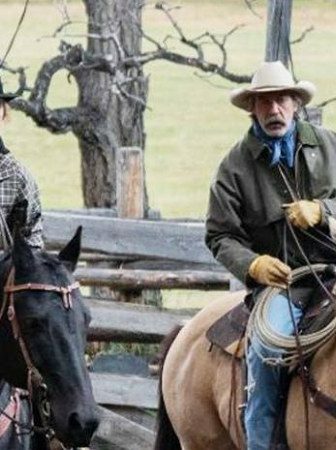 So, what did you think of Heartland’s 200th episode? Did you love it as much as I did? What was your favorite part of it? Let me know in the comments! Personally, I thought it was a perfect showcase as to what Heartland is all about. 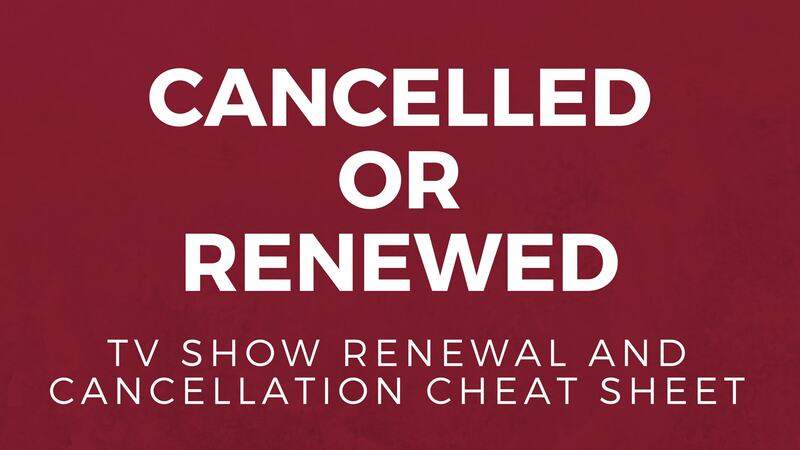 Because it had the heart and the sense of family that Heartland as a TV show is so well-known for. Yet, even with this being a milestone episode, it also didn’t forget to move storylines forward. As well as gave us some comic relief when we needed it the most. Which is why this might be one of my favorite episodes of this season. However, we do have four more to go, so everything can change. 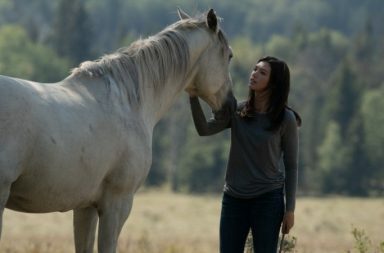 So, make sure you tune into CBC for the final four episodes of Heartland season 12 or stream them on CBC Gem. Because things are only going to get more interesting! 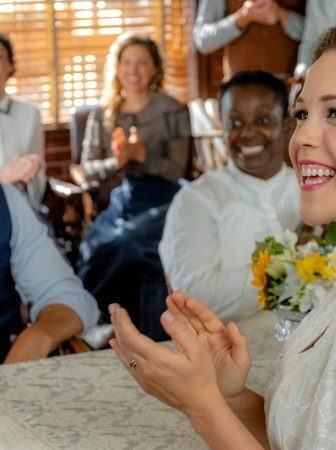 I think you wanted to comment this on one of the posts on WCTH, but I will still approve this comment because your comment makes quite a lot of sense and because I agree with you that their decision might have been a bit hasty.